Cedomir Kabic, president of the St. Sava School in Milwaukee, WI and Ivana Stankovic, Children’s Choir director of St. Sava Church in Merrillville, IN expressed confidence in establishing future mutual cooperation between the school choir from Milwaukee and the Children’s Choir in Merrillville during a special performance which took place Sunday, November 15 in Milwaukee. The Children’s Choir of St. Sava Church in Merrillville performed at a special concert at a fundraising event in the hall of the cultural center at St. Sava in Milwaukee. The choir performed eight songs in two sets under the direction of choir conductor Ivana Stankovic, with musical accompaniment from Vasilije Stankovic and Bane Djordjevic. Solo vocal performance with a musical accompaniment was performed by Melania Adamovic, a member of the choir. The president of the St. Sava School in Milwaukee expressed his deep gratitude to those present for the visit of the Merrillville choir who helped the St. Sava Serbian School of Milwaukee with this charitable performance. The audience showed their enthusiasm for the children’s choir with their applause and standing ovations for the showmanship, singing, and special selection of songs in the repertoire. The concert included performances by the school choir of St. Sava in Milwaukee, vocal and instrumental soloists Mirjana Ubiparovic-Brankov (concert organizer), Ivana Stankovic, solo guitarist Vasilije Stankovic, and pianist Bane Djordjevic. There was also an exhibition of paintings and icons by academic painter Jasmina Jovanovic from Rockford, IL. The Children’s Choir of St. Sava in Merrillville is planning to take the role of host for a Children’s Choir Festival in the spring of 2016 with more information to be announced as details are confirmed. Father Marko Matic, parish priest at St. Sava in Merrillville, arranged transportation from Merrillville for the children and their parents to the special performance in Milwaukee. There is an open invitation for children to join the St. Sava Children’s Choir in Merrillville. 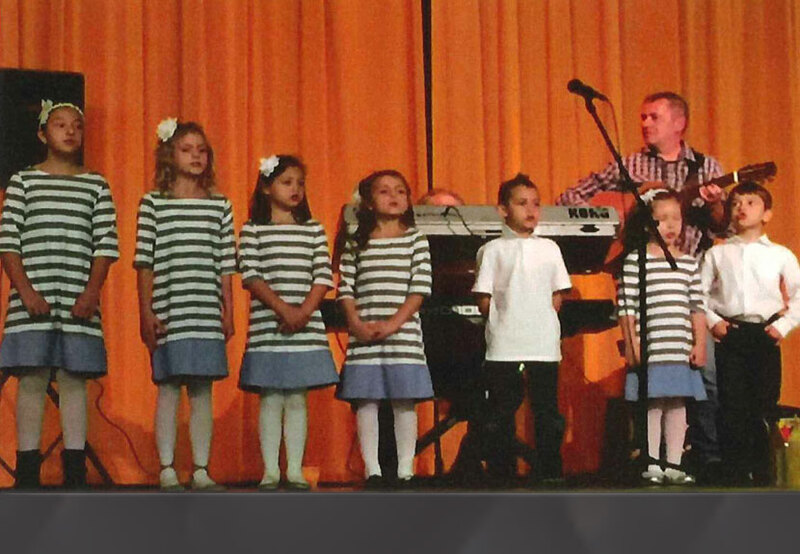 More information about the choir is available at the St. Sava website https://www.saintsava.net/childrenschoir/, including contact information and registration form.